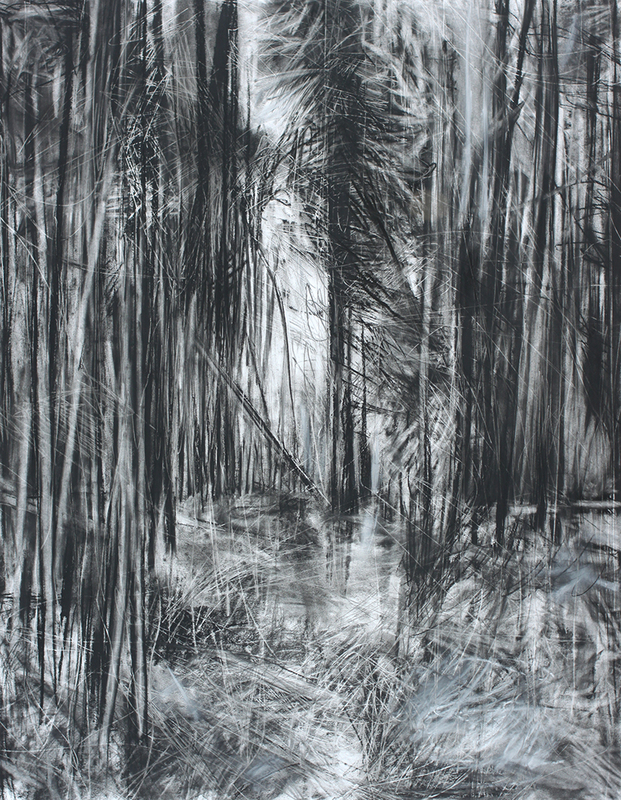 Scarborough-based Janine Baldwin has been announced the winner of the first ever £4,000 Haworth Prize for landscape painting and drawing for her charcoal drawing, Cropton Forest I. The Prize, sponsored by The Haworth Trust is for young artists (aged 35 years and under) living and working in the North of England, creating work inspired by their surroundings. “There are so many beautiful landscapes in Yorkshire I love but, Cropton Forest in North Yorkshire is one of my favourites. It offers a beguiling mix of intense darkness between the trees and patches of sunlight dappling the forest floor, and there are multiple layers within this landscape – tall linear tree forms, overgrown scrubland and deeply entrenched paths. To depict these layers in my work, as well as convey life and movement, I have made grooves in the surface of the paper and layered with charcoal, graphite and pastel. Marks on the paper have also been erased in order to create a transient effect, reflecting the changing shape of the forest. 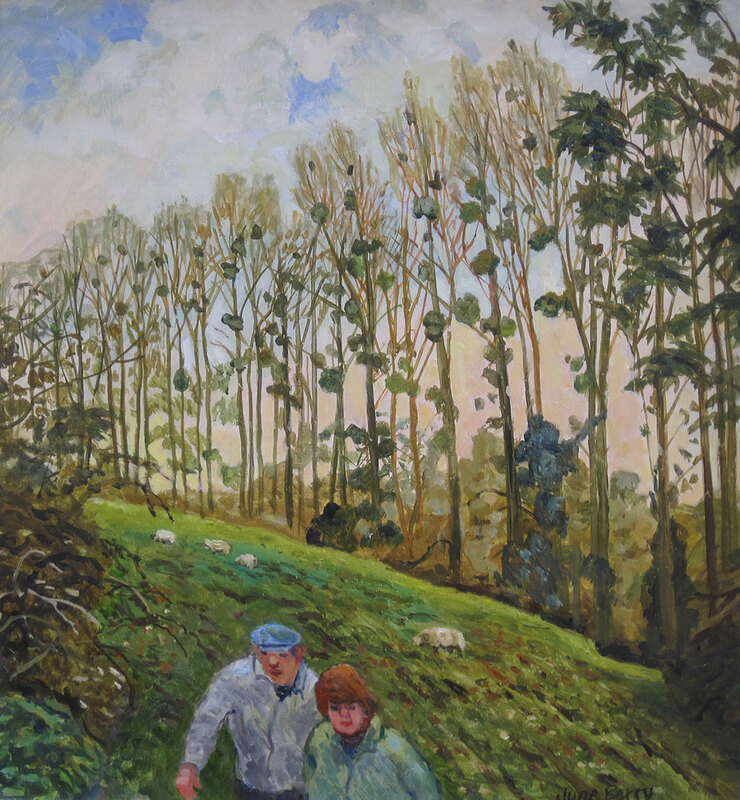 Above all I hope to capture the essence of Cropton Forest, and the sense of peace and tranquillity it evokes." The Prize builds on the New English Art Club’s tradition of painting and drawing from observation and of supporting emerging artists. The Zsuzsi Roboz Prize of £5,000 is awarded by The Alfred Teddy Smith and Zsuzsi Roboz Art Trust, to a work of excellence in the New English Art Club Annual Exhibition. 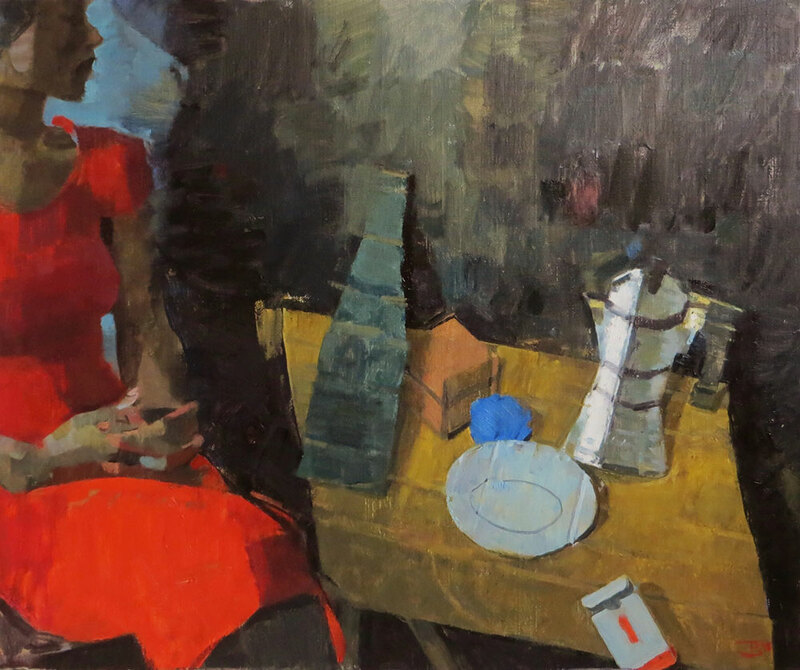 Woman at a Table, one of James’ recent studio paintings. 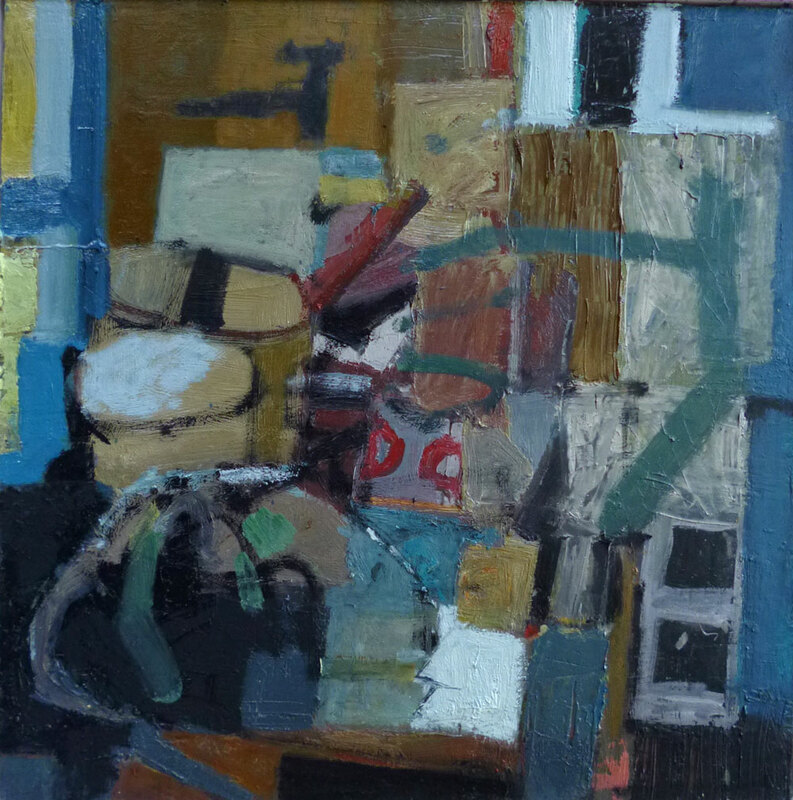 Painted from life, the sitter is positioned next to the 2 dimensional cardboard prop of the table and objects, which James makes himself, allowing accurate yet distorted perspective of the space and objects around the figure, creating a dreamlike sensation. @mallgalleries @winsorandnewton @newenglishart / Thanks very much. I am really chuffed about this. 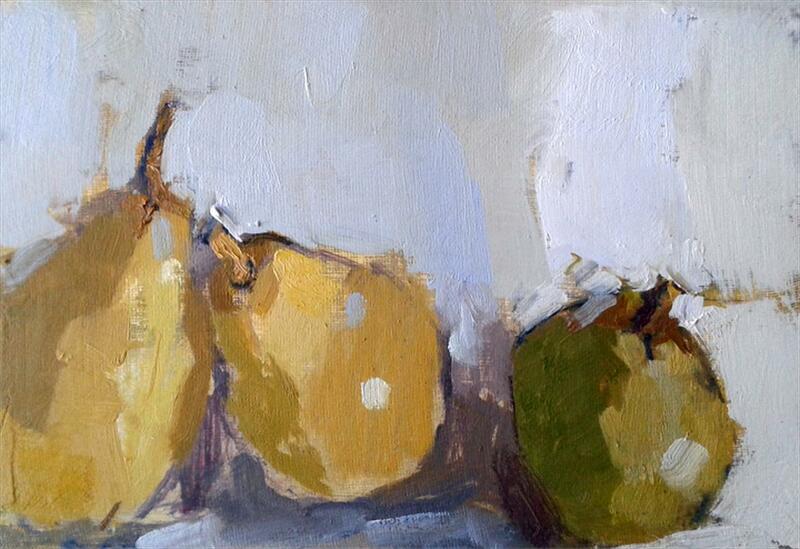 Thrilled to have won the critics prize at the @newenglishart show @mallgalleries. Thank you so much all who voted, it means a lot me. 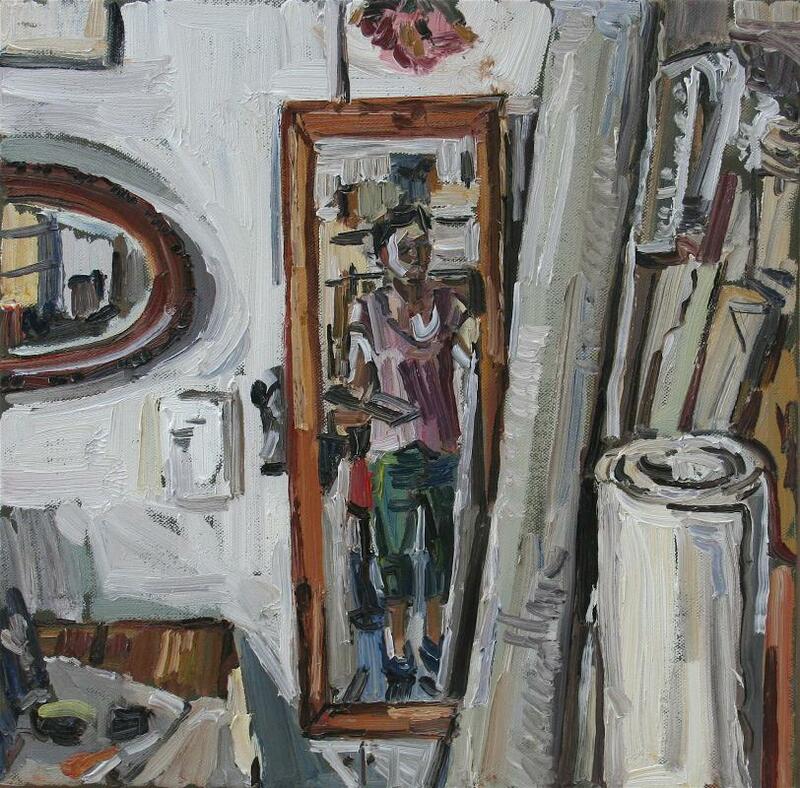 The NEAC seeks work which demonstrates excellence in both concept and draughtsmanship. 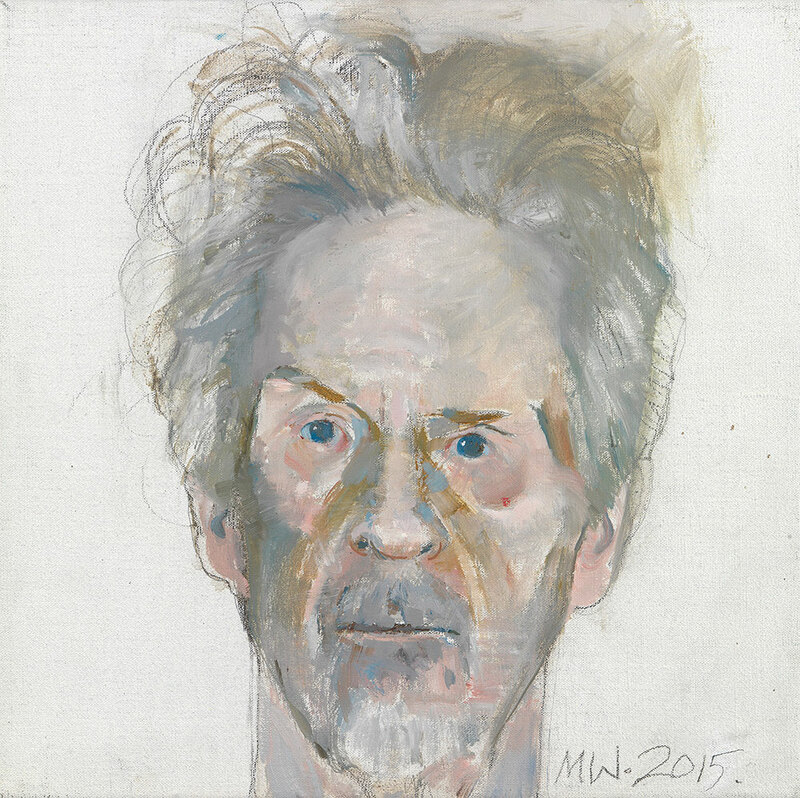 The Call for Entries is currently open, submit your artwork before Friday 4 March 2016. The New English Art Club Annual Open Exhibition is open from 18 - 27 June. Submitted 3 years 10 months ago by Liam Kilby.